First Novels Club: If I Stay: THE SEQUEL!!!!!!!!!!!!!!!!!!!!!!!!!!!!!!!!!!!!!!!!!!!!!!!! If I Stay: THE SEQUEL!!!!!!!!!!!!!!!!!!!!!!!!!!!!!!!!!!!!!!!!!!!!!!!! OMG OMG OMG OMG OMG OMG OMG OMG OMG OMG OMG OMG OMG OMG OMG OMG!!!!!!!!!!!!!!!!!!! And...it's from Adam's point of view. I think I just fainted in excitement. Yeah...I'm a little excited. Ok I'm A LOT!!! SQUEEEEEEEEEEEEEEEEEEEEEEEEEEEEEEEEE!!!! 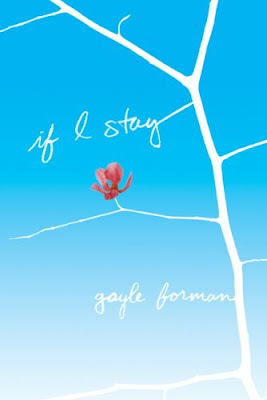 Gayle Forman is one of my favorite writers and If I Stay is one of my all time favorite books--it holds the high honor of being "The book I wish I had written." I don't think I could possibly be MORE excited right now If I Tried (lol). 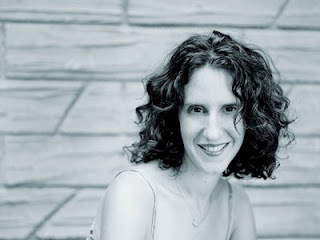 For more Gayle Forman fun, check out our interview with her from the summer HERE! Summer 2011 cannot come soon enough! Cool...I didn't even know there was a sequel. I'll definitely keep my eyes out for it now. Tabitha, no problem, glad to share the happy news! Thuy, haha no one did, she was very sneaky about it. The best news of the day!! OMG OMG OMG No kidding - EAK that's soo amazingly cool! I'm going to presume that I should add this book to my to-read pile too? Am I going to be tackled for not having read it already? I've been wanting to read If I Stay but never picked it up, I must say that your excitement has made me want to grab a copy immediately!! This is such great news! Thanks! Now we just have to wait till 2011.. Absolutely Positively Awesome News! I asked her if there would be a sequel. LOL! I finally got the answer. Woo Hoo! OMG, IF I STAY is also one of my all-time favorites. Thanks so much for the heads up, I can't believe it's takes place three years later!! Lenore, best news of the month! Mireyah! You. Are. Tackled! Get reading post haste! Maria, I know....such a long wait! At least Hunger Games 3 and Linger come out this summer..but the wait will be torture! Fantastic Book Review, LOL I've lost track of how many times Ive asked and begged for a sequel. LiLi, same here and I know!!! So excited! Okay, that's a lot of enthusiasm right there. I think I'll be checking out that book. Thanks! @ ZZ: I agree! If a book makes someone squeal with glee, it's definitely worth a look. zz and SarahEnni, yay! Im so excited that my enthusiasm is inspiring you to read this book, it's amazing, you'll love it! Anissa, you're welcome. I'm still jumping up and down!